When I started to get press releases for Indian animation about two years ago, along with plenty of “We’re now hiring for our new studio in Bangalore!” (or Hyderabad or Chennai or Pune or wherever) recruiting adv’ts, I thought that the Indian animation industry must have started recruiting among the American animation industry — and in a big way, if they’re sending stuff to me. I have always been a big animation fan, but I have never considered myself a professional, even if I did work at Streamline Pictures for a dozen years. But I have since learned that nobody else whom I know seems to be getting these, which leaves me wondering why people in India are sending me all their advertising? Not that I’m complaining, as long as the adv’ts contain lots of colorful graphics and animated trailers. Like the following, which I just received this morning (May 2). I can at least get a column out of it. And so on. I won’t quote it all. What is most interesting about this e-mail P.R. 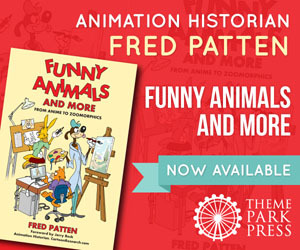 is two animated clips, including the feature’s trailer (below). I have been getting these press releases for long enough that I have had to learn a bit about India in self defense. The double-H is fairly common in Hindi. Chhota means brave; Bheem is a personal name. Chhota Bheem is extremely popular with young children in comic books, toys, TV cartoons, and now theatrical features. There are 22 official languages in India; Hindi on the west coast is the most widespread. India was a British colony until 1947, and the British taught English in the schools across India; so it is fairly common to use English as a common language for theatrical trailers across India instead of dubbing them into 22 different languages. Indian movies have so many song and dance sequences that you’d think that all Indian movies from comedies to science-fiction thrillers are required by law to be part-musicals. The Hindu religion shows its saints as colored bright blue, the equivalent of Christian saints having glowing halos; ordinary people are not supposed to notice this. A crore is ten million, so 4.92 crore rupees would be Rs. 40,920,000. An Indian rupee is worth approximately U.S. $0.0186. The abbreviation for the rupee used to be Rs., but in 2010 the Indian government decided that if the supercurrencies like the U.S. dollar ($), the British pound (£), and the Japanese yen (¥) had their own symbols, the Indian rupee should follow them. The symbol adopted for the rupee is ₹. But until Indian typewriters and computer keyboards get a ₹ key, people can continue to use Rs. 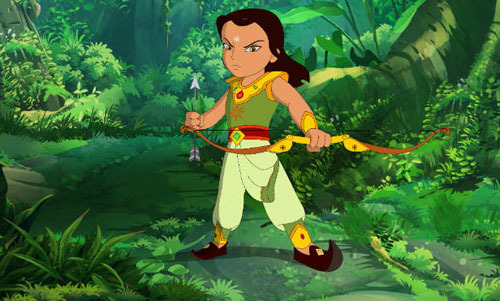 Some of these Indian animated features have subsequently gotten American limited theatrical releases, like Arjun: The Warrior Prince and Hey Krishna, usually to qualify for an Oscar; or, in the case of Delhi Safari, their backers have given up hoping for a theatrical release and settled for a direct-to-DVD release. 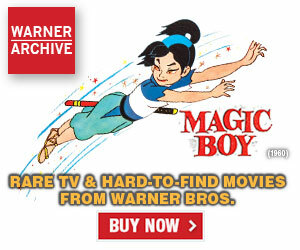 One that has not is Kamlu… Happy Happy, a 3-D CGI feature about a young talking camel who wants to be able to fly. 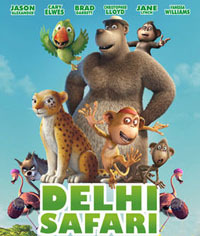 This was promoted over a year ago, last March, as coming in Indian theaters in May 2012 in English and Hindi, from Krayon Pictures, the same studio that made Delhi Safari. Director/producer Govind Nihalani was interviewed on Indian TV; he is apparently a well-known Indian live-action director who had agreed to make Kamlu … Happy Happy because he liked the challenge of making an animated movie. “My film is not Tom & Jerry,” he said; Kamlu … Happy Happy would be feature-length and have a real plot, with a message for children of being true to your dreams and not letting critics discourage you. Since then, nothing. Was Kamlu … Happy Happy ever released? One studio frequently mentioned has been Prana Studios, with offices in Mumbai and Los Angeles. One of its more intriguing movies is Koochie Koochie Hota Hai, a 3-D CGI feature starring funny animals in a time-travel romantic comedy plot. This feature was apparently completed at least three years ago, but for unexplained (presumably legal) reasons its release keeps getting postponed. The latest announced release date is July 2013. I had assumed that Prana is primarily an Indian studio, until I learned that it has been producing the direct-to-DVD Tinker Bell features as a Disney subcontractor; has produced the forthcoming American releases of Planes and Legends of Oz: Dorothy’s Return, and has just bought the bankrupt Los Angeles Rhythm & Hues VFX studio, the producer of the VFX in Life of Pi, for $30,000,000. And yes, Prana is advertising that it is hiring at both its Los Angeles and Mumbai offices. Over half of the Indian animated features that I get advertising for are based on Hindu mythology; the Hindu equivalent of Bible stories. You would think that these are extremely unlikely to ever get American releases, but one that is currently trying is going by the American title of Hey Krishna. It is being promoted as an adventure fantasy in America; in India it is a religious film about the first ten years or so of Krishna’s life, up to where he fights and kills his evil uncle King Kans. I got a lot of advertising for it when it was titled Krishna aur Kans (Krishna versus Kans) and about to be released in India last August, in English, Hindi, Tamil, and Telugu. The Indian advertising was much more devout, always referring to him as “Lord Krishna”. Another was Toonz Animation India’s Swami Ayyappan, released last December in the Kannada, Malayam, Tamil, and Telugu languages. At least Hey Krishna has excellent (if not up to Pixar’s level) CGI animation. One feature that is especially unlikely to be released in America is Landmark Toonz’s Luv Kush – The Sons of Rama, which is both overly Hindu religious, and is some of the crappiest theatrical animation that I have ever seen! I can look forward to never knowing what my e-mail may bring me tomorrow – advertising for another Chhota Bheem or Delhi Safari or Kamlu … Happy Happy, or another The Sons of Rama. It’s always interesting. I first came across Chhota Bheem in an article about foreign animation in India being labeled a bad influence on the youth. Of course this home grown hero was praised as a positive role model and that’s about all I wanted to know about the subject. Interesting post Fred. Indian animation has come a long way and still has a good bit to go, but there should be comfort taken in that filmmakers there see animation as a viable (and profitable) technique. Culturally, Indian film is a bit unique, so I don’t hold out a lot of hope for a large international market for their films, but that isn’t to say that we won’t see one or two great films in the years to come. Sad about Koochie Koochie Hota Hai not coming out yet. The premise of the story sounded interesting to me, though I see according to Wiki it’s a remake of a live-action Hindi film made 15 years earlier.